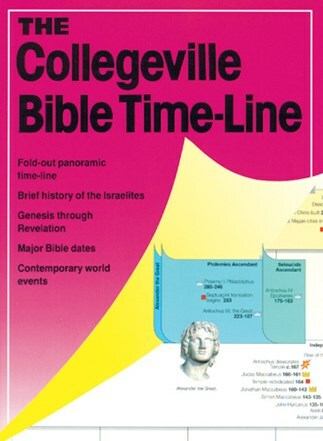 Adults and young adults studying the Scriptures will find The Collegeville Bible Time-Line an invaluable tool. This colorful, graphic representation of the events and people of the Hebrew Scriptures and New Testament puts in hand a wealth of information in a clear, easy-to-access format. It begins around 2,000 B.C.E., leads through a history of the nation of Israel, and ends around 100 C.E. with the establishment of the Christian Church and the writing of the New Testament Gospels. The time-line also includes dozens of references to non-biblical people and events. Thirty-two pages of text explain the eras delineated on the time-line and provide fuller details regarding important people and events. This wonderful aid unfolds the entire ancient world before the eyes of the Bible student at a glance. It is highly recommended for teacher and student alike.